The Israeli Government’s decision to build a concrete roof followed a considerable debate within the cabinet. Defense Minister Bogie Ya'alon insisted that a massive extension of the current Security Wall would be enough to provide the goods. Ya'alon maintained that a substantial increase of the wall to the height of 90,000 ft. would be more than sufficient to stop missiles from entering Israeli territory. He sensibly argued that Israeli youngsters would benefit from seeing the blue sky when they raise their eyes above. Prime Minister Netanyahu couldn’t agree less. First, the sky above Israel is boringly blue, not even a single cloud above. Second, being fully aware of the nature of ballistic warfare, the PM contended that the only way to provide the Jewish State with the ultimate security is to cover it from above with a reinforced concrete shield. Israeli President Shimon Peres, the legendary peace enthusiast, offered a compromise inspired by the idea of a trampoline. Peres suggested that a Security Wall’s 90,000 ft. extension made of an elastic net would do the job. The elder statesman argued that an elastic net will guarantee that every Palestinian missile aimed at Israel would bounce back to the Arab territory once it hits the net. Netanyahu and Ya'alon dismissed Peres’s suggestion. They argued that considering the excessive Israeli usage of artillery and missiles against the Gazans, the Jewish State would suffer far more from the erection of such a ‘bouncy net’. Yet, some technical difficulties lay ahead. Probably the most crucial problem has something to do with breathing. Like the rest of the humankind, most Israeli people consume oxygen and release carbon dioxide. Apparently, the Israeli cabinet Ministers were made aware of this very crucial fact by the Health Minister Dr. Herbal Krechtzen. Netanyahu, being a man of action, responded immediately. Already in the cabinet meeting he authorised the Holocaust Ministry to explore different solutions to the acute biological problem. Probably the most radical suggestion made by the Israeli-American company was to train the Jewish population in Israel to breath like fish. By the time the Israeli people ar e well trained, all that is left to do is just to fill the Jewish bunker with seawater. 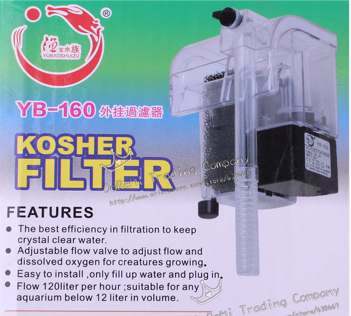 In other words, Filter On The Roof suggested to turn the Israeli State into a ‘giant Jewish tropical aquarium’. Though this option seems to be very radical and even inconceivable, most cabinet Ministers reacted enthusiastically. They all agreed that such a solution would fit nicely with the concept of modern Jewish life in general and Zionism in particular. Israelis love the sea. Israelis, unlike the Diaspora Jews are not afraid of water. Once the entire Israeli society is covered with water, no one would ever consider throwing them to the sea. We will be following this developing story and keeping you informed. * This is an old piece of mine, I re-print it today with some minor changes.